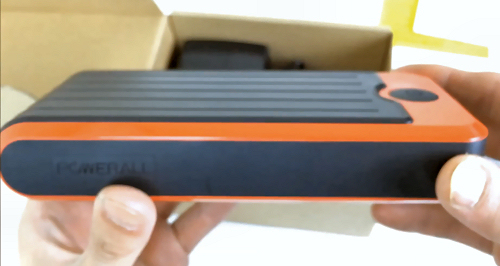 PowerAll Car Jump Starter and Charger Reviewed - We Love it! 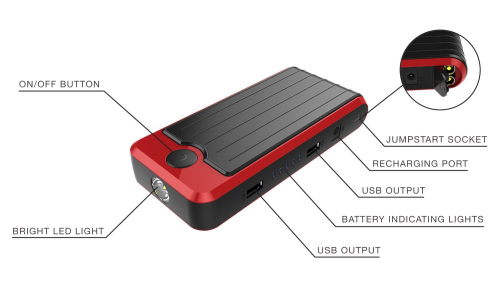 The PowerAll jump starter is the only jumpstarter that combines several features in one small attractive design that is easily and discretely carried around, even in your pocket! Don’t be confused by its size, yes this jump starter in tiny compared to most, and yes it only weighs 1 pound! 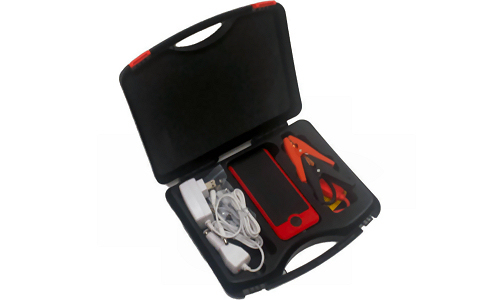 However this is an extremely capable jump starter – check the movie below to see just have efficient it is for jump starting all kinds of vehicle. 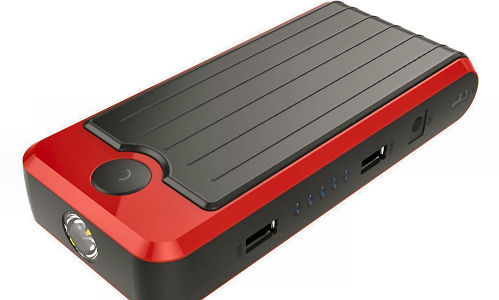 If you are looking for an ultra portable jump starter, you can stop looking now. 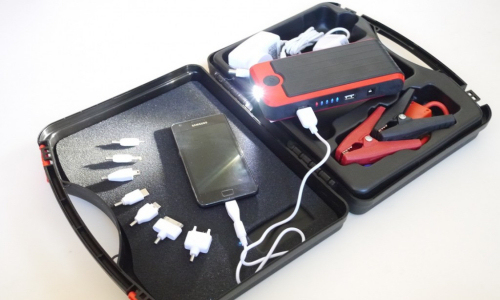 Featuring a capable jump starter, a gadget battery charger and a bright LED flash light, the PowerAll is extremely popular with consumers and makes a great gift. Note that the DELUXE version comes complete with a handy carry case. For more information on the manufacturer of this model see our Gryphon PowerAll info page. 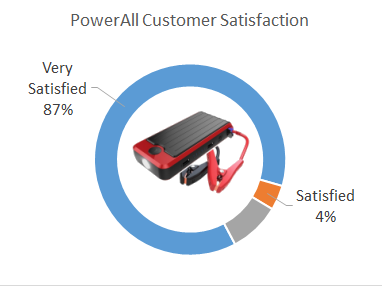 We’ve analysed every PowerAll customer review we could find and collated the statistics into the following chart so you can see at a glance how the PowerAll is rated by actual verified owners. These reviews were collected from large online retailers and totalled over 1,300 individual reviews. 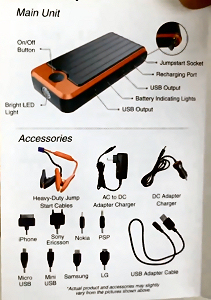 What’s Special about the PowerAll Jump Starter? Three products in one is what makes the PowerAll a bit special. Also, take a look at the photo’s; the PowerAll shuns the typical bulky look of other jumpstarters and instead is presented in an attractive slab design that is extremely compact, just look at it, it’s a thing of beauty! 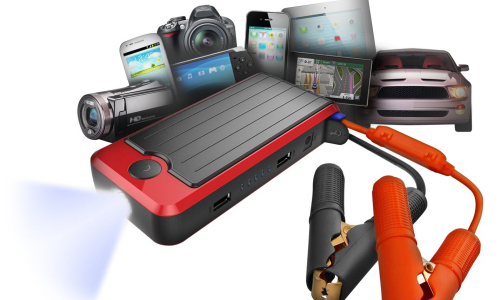 Most consumers choose the PowerAll because of its charging feature which will charge popular consumer gadgets such as phones, cameras, camcorders, headphones and kids portable gaming systems. 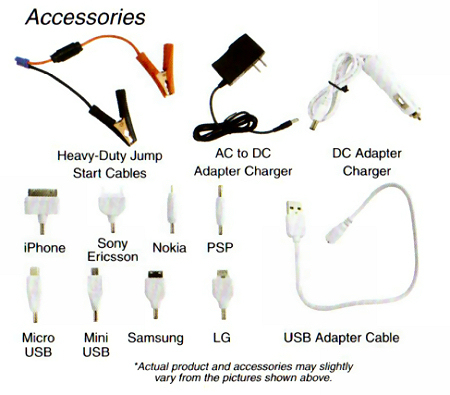 Anything that is charged by a USB cable will connect to the PowerAll! 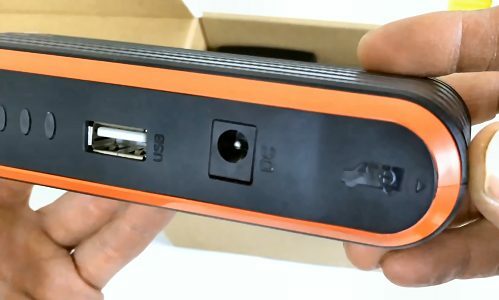 In fact it can charge two devices at the same time! However it’s not only the convenient extra features that make the PowerAll such a good product, it is also a very capable jumpstarter, which, depending on conditions, can jump start engines up to 20 times on a single charge! Combined, this impressive feature list contributed to make the PowerAll the Number 1 Best Selling Lithium Battery Jump Starter in the World. There is no range of PowerAll jumpstarters, the product on this page is the only one available, it has everything you need in a jump starter! 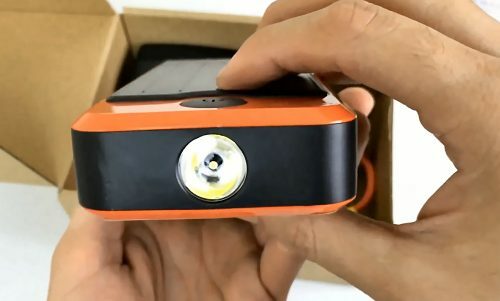 As the PowerAll includes multiple charging connectors and a built in flashlight, it makes for a great gift for new drivers. 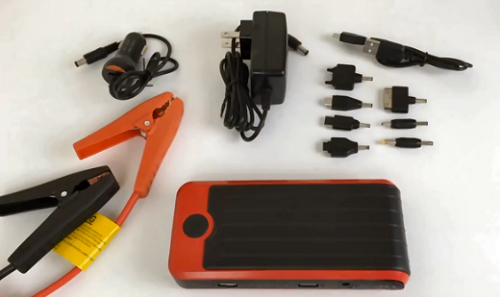 While a typical bulky jump starter may seem like a strange gift to give, the PowerAll is a neat design that would look great in the storage areas of a car and provide new drivers with the confidence to get their car going in the event of a flat battery, and also to provide emergency lights when most needed. So small it fits in glovebox! They simply do not come any lighter! Charging Adapters. If you are anything like my family, we are always running out of charge in our gadgets and phones when on the move. 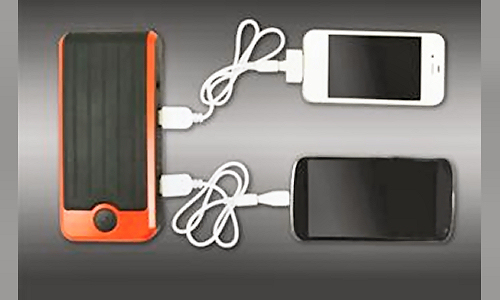 The PowerAll solves this problem not by charging one mobile, but it can charge TWO at the same time. 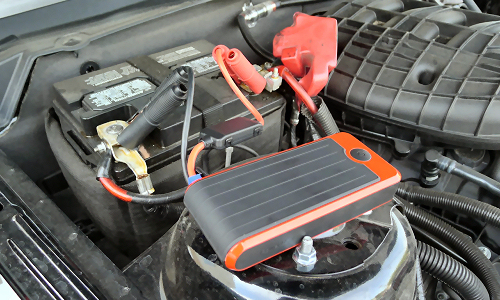 Some folks might even not think about the PowerAll as a car starter but more of an emergency GADGET starter! Weighing in at just 1 Ib this truly is unbeatable for punch to weight ratio, largely thanks to the lithium battery. It’s so small it will even fit in your toolbox! 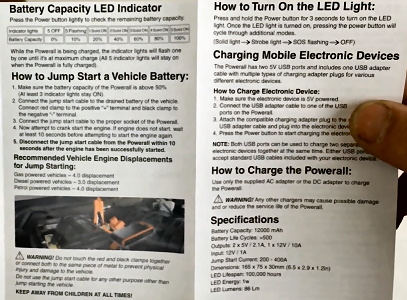 As the video above shows, there is no doubting just how effective this tiny unit is at jump starting cars, or even trucks! 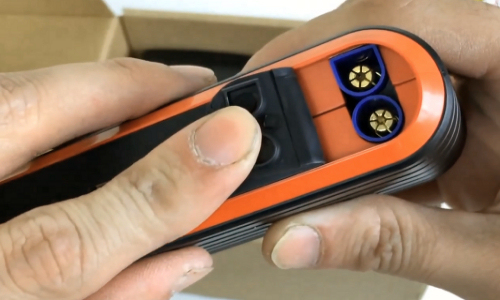 It’s modern design makes conventional jump starters look bulky, unwieldy and dated. Safety : PowerAll use MOSFET rectifiers by Texas Instruments in their jumper cables. What does this mean? This means that compared to ANL fuse or generic rsisters, the MOSFET offers superior protection from voltage feedback, which is a superb feature that removes the risk of fire through overheating and gives the consumer confidence in using the device. Be aware that there is another product available that looks EXACTLY like the Powerall, this has been identified as a fake. If you see a product that looks like the PowerAll but is called JumbL be aware that this is NOT the award winning PowerAll. Please make sure and purchase from an authorised reseller such as Amazon, here! Also, do not get confused about any descriptions you may see regarding professional grade Smart 2.0 jumper cables with the deluxe version. PowerAll supply the same cables with all their jumpstarters. Finally, as this is a Lithium-Ion battery, it must be put on a full initial charge before first use! When first unboxed put the unit on a full 12 hours charge before using. What is the Correct Jump Start Procedure? I jump started my car now the PowerAll seems Dead? Can I download a PDF instruction manual? Once Engine has fired up, disconnect PowerAll within 10 seconds. It helps to have a second pair of hands for this, but you can do it yourself. It is possible the PowerAll safety circuit has kicked in. If the light does not come on the unit probably needs reset, see next tip. The PowerAll may need reset if the safety circuit kicks in. Do this by connecting the unit to an AC supply, or the car cigarette socket. The unit will complete a self check routine before becoming ready for its next use. 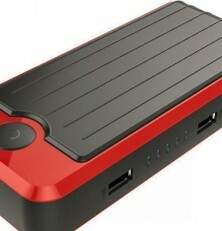 Long term storage without use can lead to the battery only reaching about 60-65% charge capacity. In order to solve this issue, unplug the PowerAll then plug it back using the a 12vDC input port. Of course, download the PowerAll Instruction Manual PDF. There are not many lithium powered jump starters in the market, and it is difficult to understand why, as they make perfect sense compared to a conventional acid battery jump starter. They are smaller, lighter, easier to store in the car (it even fits in the glove box! ), and yet they can still jump start a car several times on one charge. 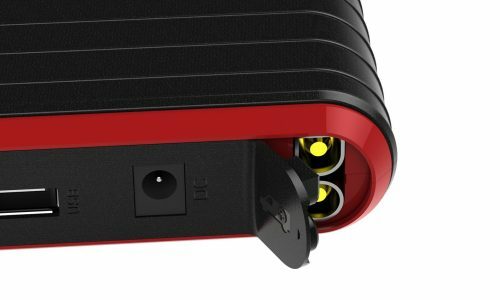 Considering that this is the best lithium ion jumpstarter we have tested, we were a little disappointed that it did not come with a carry case, however, one can be bought seperately here. 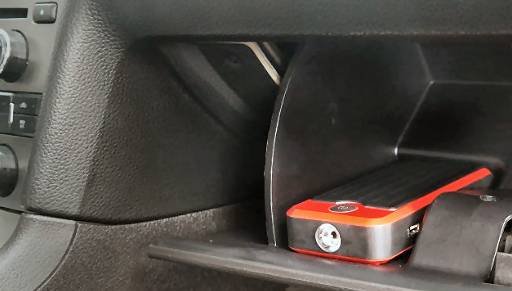 With the handy torch feature included, we found this to be a fantastic addition to any motorist’s travelling kit and highly recommend it – after all, it’s the one that I drive around with! This is one of my VERY favorite devices I have ever bought. Every family should have one of these units. I am a 68 year old car collector since I was a teenager and I used to use the VERY HEAVY large commercial “jump boxes” that most road service companys and repair facilities use. When I first read about this unit I by passed it because I would have never believed it would work. I finally bought one figuring I could send it back when it didn’t work. The day I received it I took it down to my mechanic and asked him to direcet me to a vehicle in his lot that has been sitting for along period that had a dead battery. He directed me to his Chevy dually with a big block 454 engine and told me, “it’s been sitting for over a year. Don’t bother, it needs a battery. I even tried starting it with the commercial jump box to no avail.” I attached the cables from this little device and Bobby turned the key and the 454 sprang to life!! ABSOLUTELY AMAZING!!! Both my mechanic and his mechanic son, each ordered them on the spot! Great product! Jumped started a number of cars & even a diesel with 1 charge!! This is an awesome product. It works great and is worth every penny. You need to get one. Actually boosted 20 vehicles on one charge. The whole system is very compact and will get you out of a pinch when you need it to. I am glad I have this product and would definitely recommend it to others. This is the one for me, thanks for the detailed review buddy.